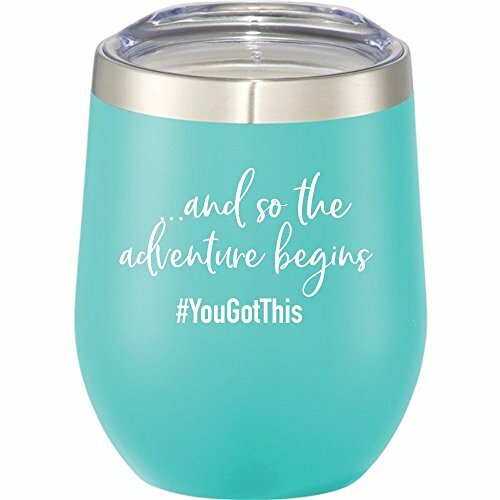 SassyCups 12 oz Insulated Double Wall Stainless Steel travel wine tumbler with clear lid and the inspirational saying, "And So The Adventure Begins #YouGotThis". Its mint powder coated finish protects against chips and scratches. Makes a great graduation present, promotion gift, going away gift, new job, divorce etc.... This fun Wine glass tumbler cup measures 4.5" H x 3.25" in Diameter and is BPA Free. It is recommended to hand wash this item.